Fidelum Partners is a research-based consulting and data analytics firm specializing in customer loyalty insights, strategies and results. We take pride in building lasting relationships with our clients and keep their best interests at the forefront of everything we do. Fidelum Partners was founded by Chris Malone in March 2010 as the Advisory Services practice of The Relational Capital Group. In September 2013, we became a stand-alone firm to better reflect the broadening range of insight and analysis services reflected in our award-winning book, The HUMAN Brand: How We Relate to People. Products and Companies. In Latin, the word Fidelum is the plural of fidelity. So literally translated, our name is intended to mean “We Faithful Partners” and refers to the loyal relationships we build with our clients, as well as the strong commitment we have to one another as colleagues. As it turns out, this name also has its roots in The Malone family history. 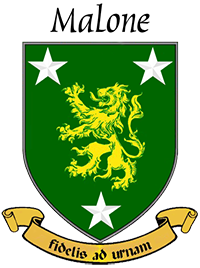 While researching his Irish ancestors in the mid-1990s, Chris learned that for hundreds of years the Malone family motto has been Fidelis ad Urnam, which means Faithful Until the Tomb. It was this sentiment and aspiration that compelled us to become Fidelum Partners. By design, we are a firm that has fewer clients with whom we have broader relationships that involve multiple engagements each year. We are honored that they turn to us with their most difficult problems and challenges. Whether the result of a difficult earnings call, to develop an ambitious new growth strategy or to navigate a thorny issue within their leadership team. We are loyal and committed to them before all else, and they tend to work with us across multiple roles and companies during their career journey. Perhaps we are just a bit “old-school”, but we are more interested in making a difference than making a fortune — though we expect that a fortune may follow if we succeed at making a difference for our clients first.